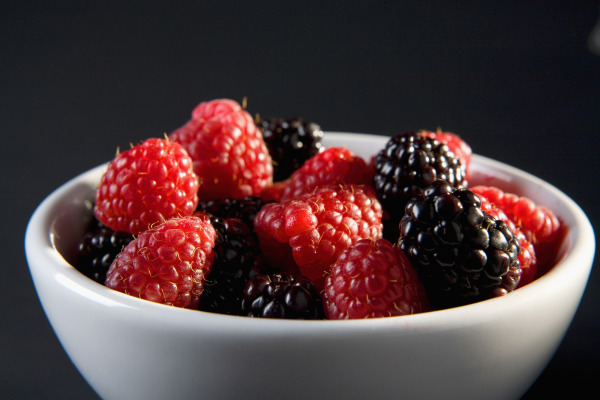 Most berries are packed with vitamin C, fiber, and potassium. They also contain organic chemicals that help to lower blood pressure and increase HDL (good cholesterol) levels. There are several possibilities, so don’t be afraid to branch out on your berry intake. Strawberries, blueberries, raspberries, and blackberries are good tasting and fun to add to other things. When adding them to recipes, it’s best to use frozen berries. But do not add any additional sugar. Go ahead; pick up some berries at the store tonight for a healthier you! Remember the old adage “you are what you eat”; it's more like “you smell like what you eat!” The foods we eat have a direct effect on our body odor. We all think of perspiration as the main culprit for a person’s odor. (Think of the guy next to you at your corporate fitness center sweating up a storm and smelling less than fresh.) However, sweat itself is odorless. The odor comes from the bacteria on the skin and the toxins your body excretes. Some our favorite foods are responsible for those “stinky” toxins. Even foods without a pungent odor can cause a strong bodily smell. A 2006 study conducted by Charles University suggests that men following a vegetarian diet were judged as having a more pleasant and less intense body odor compared to meat eaters. Another odor culprit is processed foods. These foods contain little to no fiber, and high amounts of sugar, hydrogenated oils, and refined flour. They leave a great deal of waste product behind after the body absorbs the nutrients. This waste product is then excreted by the body and can create a moderate to strong odor. Eat a diet high in plant-based foods to keep your body odor in check. More often than not, if the food you eat has a strong smell, you will too. This blog was written by TJ McAloon. Meet our blogging fitness specialists at the NIFS website. The time in the lower-right corner of your computer screen reads three o’clock. You’re tired and in need of a pick-me-up. It is too late in the day for a full meal; you are about to head home for dinner in two hours. Your coworker notices you start to drag at your desk and offers some suggestions for a boost in the form of some snacks, a soda, or a cup of coffee. You now have some options to pick up your energy level, but which is the best one? Which one can you eat or drink without worrying about putting on unwanted pounds while sitting at your desk? The first option is coffee. The average cup of black coffee does not have any fat, has only 2.5 calories per serving, and provides that quick fix of caffeine for energy. However, the drink does not provide any nutrients and little to no vitamins. Could you go for a snack from the vending machine? Unless you choose one of these healthy options, you could be headed for a diet disaster. Maybe a piece of candy or a leftover doughnut from the morning would provide that sugar rush you crave? These things will provide the quick burst of energy for you; however, once that wears off, you'll be left with a crashing feeling and be back at square one: tired, plus feeling guilty for inhaling a bag of M&Ms. Your healthiest and best option is to opt for fruit and vegetable snacks that you can bring from home. Try packing a small bag of sliced apples or a cut-up banana. Both of these fruits are full of vitamins, antioxidants, and fiber. They can give you that burst of energy while eliminating a big crash like snack-type foods cause. 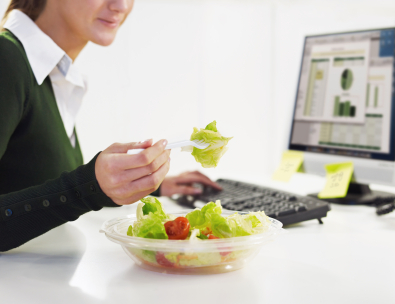 Eating the correct food at the office can help lower your stress on the job, while increasing your productivity. Who knows―eating healthy may even help you get that promotion that you deserve as well. This blog was written by Kimm Thiel. Meet our blogging fitness specialists at the NIFS website. An exercise a day helps keep the doctor away! Ever notice how physically fit people seem to seldom catch that bug that’s been going around the office? Well, it's not just good luck; there’s actually some scientific basis for it. Some new (and some not-so-new) research is showing that people who get regular aerobic exercise have milder flu symptoms and for fewer days than their couch-potato counterparts. It’s no wonder various workplace health promotion programs are dedicated to this exact idea. 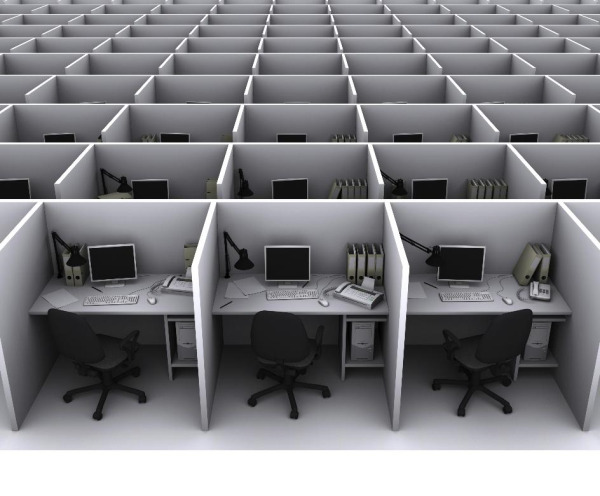 Decrease absenteeism and up goes productivity. What a concept! And, as if you needed yet another reason to get and stay active, here are a few more. In one study, men who walked just three to six hours a week decreased their risk of prostate cancer by almost 67 percent over sedentary men. On another note, being regularly active can reduce the risk of injury. Typically, if a muscle is strong prior to injury, the rehabilitation time following such an incident is shorter and easier. There are a few different reasons exercise has these immune-boosting effects. The basics are that it speeds up circulation of white blood cells, your front-line bacteria and virus fighters, so they get to infection sites more quickly. Exercise also releases endorphins, those fantastic neurotransmitters responsible for decreasing stress and making you happier. In turn, this helps strengthen the immune system. So what are you waiting for? Get moving today for a healthier tomorrow! In recent years, your corporate fitness center members have no doubt been made aware of the health risks associated with smoking and inhaling secondhand smoke. Just in case you need one more reason to urge your participants to join in on National Kick Butts day (March 23, 2011), research has proven that secondhand smoke increases the chance of infertility as well as miscarriages and stillbirths. Society has come a long way. Think back several decades ago when the dangers of smoking weren’t as well known, and women smoked throughout their pregnancies and around their small children. The more studies that surface, the more the evils of cigarette smoke are exposed, whether inhaled personally or secondhand. If a corporate fitness member shares with you that she is having trouble getting pregnant, what encouragement can you give her? Along with general health recommendations for anyone (for example, eating a balanced diet and maintaining a healthy weight), urge her to become more conscious of situations where secondhand smoke is present. Although many counties nationwide have adopted a no-smoking policy for bars and restaurants, there are still organizations or public events that allow smoking. It is important to encourage women who are still smokers to stop now, rather than wait until they are trying to conceive, to avoid potential infertility problems. Although it’s impossible live a completely toxin-free existence, cigarette smoke has been a known carcinogen for many years and can be easy to avoid. Do you plan to run any corporate wellness programming for National Kick Butts Day this year? Bike racks! One simple way for companies to encourage worksite health is by providing bike racks for their employees. As the warmer months approach, consider this investment. If employees are biking to work, they are reaping the benefits of physical activity, making for a healthier workforce. May is National Bike Month. This is a great way to promote the implementation of bike racks in your corporate wellness program. Plan and promote a small event around your investment to encourage employees to consider biking to work. Consider having your health and wellness team put together flyers, bulletins, or even a small ribbon-cutting ceremony to create some hype. Meanwhile, it is important to remind your employees about bicycle safety to ensure their overall well-being. Is your company promoting corporate health and wellness by encouraging biking to work? With spring around the corner, everyone is itching to get outside and enjoy the sunshine. After being cooped up all winter long and stuck on the treadmill, it’s time to change your workout and take it outdoors. 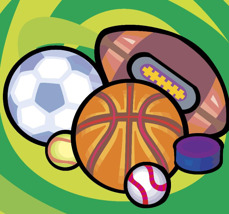 When considering your workout, why not take into account the activities you enjoyed as a kid? Here are five activities that will not only have you acting like a kid, but will also burn those calories! Biking is not only easy on the joints, but is also a good way for the less active to get back into exercise. An hour-long leisurely bike ride can burn up to 290 calories while working the legs and glute muscles. Softball leagues are getting ready to start, so grab your co-eds or create a corporate team and join a league! A one-hour game of softball will have you working your shoulders, back, arms, legs, and core while burning up to 360 calories. Tennis works your back muscles, shoulders, arms, legs, and core while increasing your cardiovascular endurance. A one-hour doubles match can burn 300 calories, whereas playing singles can help you burn nearly 450 calories while covering the court! Basketball is another great cardiovascular activity that will provide you with a full-body workout as your run up and down the court shooting your best jump shot. Grab your buddies for a pickup game to burn 420 calories during an hour-long game. Volleyball is a great family and friends game that can burn up to 250 calories for an hour of recreational play. Volleyball is another great league activity. Grab your coworkers and join a league for some fun outside of work! Look for events in your area in which you and your coworkers can take your skills to a friendly competition. The Indiana Sports Corporation puts on the Corporate Challenge in Indianapolis every year, encouraging 4,000 + employees of approximately 100 local companies to train for different events. Much like field days we had as kids in school, there are a variety of events that promote corporate wellness and encourage employees to obtain healthy lifestyles. *All calories are estimated based on a 160-pound individual. This blog was written by Lori H. Meet our blogging fitness specialists at the NIFS website. It's been 10 weeks since I embarked on my quest to shed 25 pounds with the help of NIFS Wellness Coordinator and registered dietitian Angie Scheetz. So, how's it going? Remarkably well! The first few days and weeks were a little difficult because I was giving up so much comfort food without seeing any results yet. At our nutrition coaching session, Angie armed me with important tools, such as great suggestions for healthy foods that made me feel full and a place (My Daily Plate) to hold myself accountable for my choices. I did not stray from my calorie goals once, and before long I started to see results. At first, the weight seemed to be just melting away. Within the first six weeks, I lost 10 pounds. I thought that if things kept going that way, this was going to be a cinch. Well, of course, they didn't. I hit a weight-loss plateau about a month ago. Even though I was keeping to my calorie goals and trying to be more active, I was stuck. This was the point at which I was most tempted to give up. But because healthy eating has become a habit, I didn't. And this weekend I see signs that I might be moving past the plateau. Not allowing myself to feel hungry: Eating high-protein snacks at regular intervals keeps me from wanting to binge on something really fatty. Thinking ahead: When I go to the grocery, I load up on fresh fruits and vegetables. Then I go home and cut them up into healthy portions and have them ready to go throughout the week. I always have plenty of Greek yogurt in the fridge, plus low-cal cheeses and meats. Finding "treats" that aren't too bad for me: I get my chocolate fix from 1 teaspoon of Hershey's syrup in a mug of skim milk in the morning, and a low-cal fudge bar after dinner. I don't feel deprived at all. Balancing out the calorie-laden foods with better choices: I have learned that I can still have a Jimmy John's sub if I hold the mayo, eat just half a sandwich, and bring along an apple to eat instead of chips. Plus, I substitute water for the Sprite. Not only am I saving calories this way, but I'm also saving money. Now that spring is here, I hope to be able to be much more active. Coupled with my continued smart eating, I should be at my goal before the pools open! Many people spend a majority of their time at work. This is where we go each day, and while we are there we have plenty to keep us busy. After we leave, we also have work to do—making dinner, cleaning house, and caring for the kids. So how can we possibly squeeze in one more thing? We all know how important exercise is, but many times it falls to the bottom of our “to-do” lists...until now. Many employers are bringing exercise to the workplace. With new worksite wellness programs for employees, they are encouraging folks to be active even while sitting at their desks! Portable pedal machines, which are similar to a mini stationary bike, can be placed under a desk so that you can exercise even while sitting at the computer. Employers are also encouraging walking groups, giving instruction on how to exercise at your desk, and offering pedometers to employees so that they can track their progress. This kind of worksite health promotion program is a way to encourage even the most sedentary individuals to get moving! Time is what we all need more of. If our employers encourage us to exercise while we work, it would be easier for people to begin and stick to an exercise routine. This may even encourage people to continue to exercise outside the workplace. Go on a walk after lunch. Exercise in the break room. With enough participation, you could even negotiate a group rate at your local health club. Some clubs even offer a lunchtime membership! What have you done at your job to encourage exercise? Is your desk buried under a pile of paper, file folders, cords, and sticky notes? I know my desk can get a little out of control when class plans, forms, and notes start to pile up. In order to regain that sense of control and focus when my desk gets out of control, I take a few minutes to straighten things up a bit. Did you know the state of your desk can actually affect your health and productivity at work? Researchers conducted a study of 2,000 office workers and identified the condition of IDS. Yes, IDS stands for Irritable Desk Syndrome, which is caused by a cluttered, messy, and poorly arranged desk. 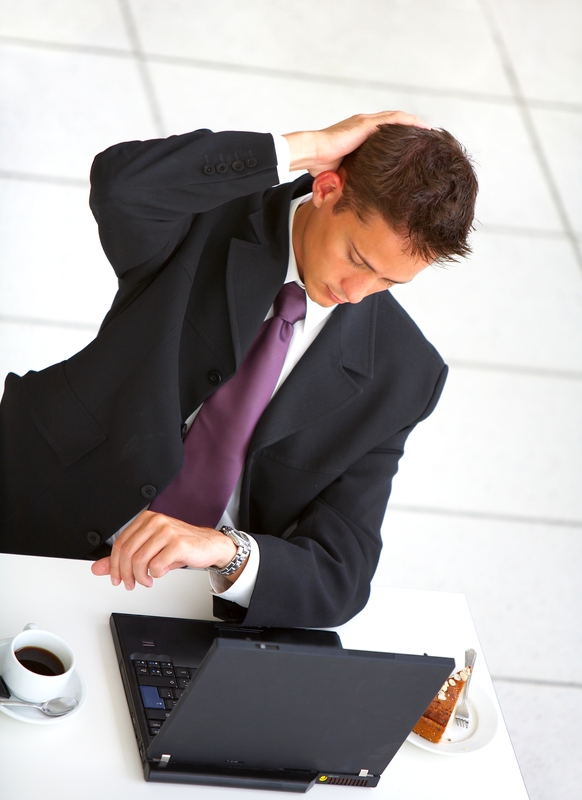 It can cause distractions and stress as well as back and neck pain. that you can admire them from time to time. Tidy up. 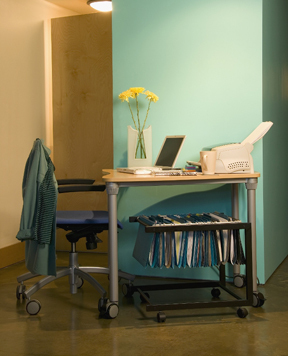 A neat space creates an atmosphere without distractions and stress, meaning you stay focused and on task. Sanitize. Wipe down your desk, phone, keyboard, and any other frequently touched surfaces to prevent the breeding and spreading of bacteria that could make you sick. A tidy workspace tells your coworkers, managers, and clients you are organized and have your business in order. Do you provide a corporate fitness center at your office? Ask the managers of the fitness center to provide a "Lunch and Learn" or demonstration about proper desk ergonomics to ensure that chair height and computer screen, keyboard, and mouse placement are optimal for minimizing neck, back, and joint pain. Working in corporate fitness centers, I see a lot of professionals with very little spare time. Most are trying to get in a quick workout over lunch and then grabbing something quick to eat. Trying to balance work and life doesn’t leave much time for healthy meal planning. 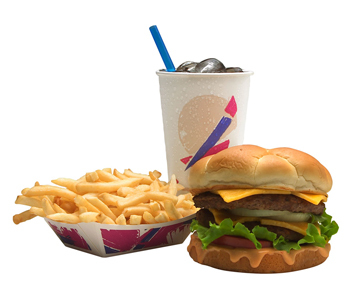 I’ve done some comparing to help employees make healthier fast-food choices. Choose a double cheeseburger over a double Quarter Pounder with cheese. It has 500 fewe r calories and 19 fewer grams of fat. Select any of the grilled chicken wraps for a meal under 300 calories. Choosing grilled over “crispy” will save you a lot of calories and fat. If you must have something to go along with your sandwich or wrap, four-piece Chicken McNuggets have fewer calories than small french fries. Most fast-food restaurants now have side salads or fruit as healthier options. To consume fewer calories, choose low-fat balsamic vinaigrette as your salad dressing. See the McDonald's nutrition details here. After looking at Taco Bell’s nutritional information, there isn’t a lot on their menu for 300 calories or less. Need I say much more about stopping at their drive-through? I would recommend keeping it simple if you’re going to eat at Taco Bell. For example, soft tacos are going to be your best option because they don’t have a sauce on top or inside that is high in fat. Watching your sodium? Skip or go light on the condiments and salad dressings. Ketchup, mustard, pickles, sauces, and dressings all contain salt. Hold the mayonnaise and save 50 calories. Order a fish sandwich without tartar sauce and save 80 calories. It may sound like I’m taking the “fun” out of fast-food eating, but your body will thank you for making healthier choices! 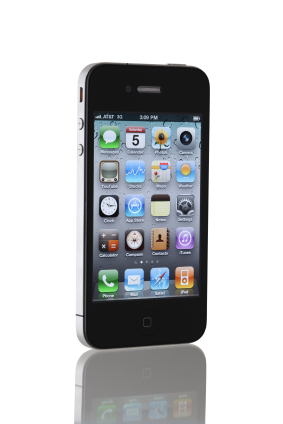 Little did we know when the iPhone was introduced that it could one day transform our total body fitness. Robert Jay Martin has attempted to do just that with his new app, the iLog1, available for iPhone, iPad, or iPod. I’ve come across several phone apps and online tools that can track both diet and exercise, but the iLog1 goes a few steps further to enable the user to record their sleep habits, body mass index (BMI), daily mood, and even housework or other chores. The best feature is that the iLog1 charts all of this data to display trends. In any scientific research, or even an individual’s lifestyle change, it’s the trends that are the most telling. The iLog1 also offers enough customization to be used by skilled athletes, fitness newbies, or even a large company looking to track how many employees participate in corporate health incentives. Corporate fitness management has, in the past, used systems of handwritten food journals, paper exercise logs, or maybe certain computer programs to track diet or exercise progress. How could we introduce applications like these into our corporate wellness programming? While we are not pushing any certain product or brand on our clients, as you’re doing a one-on-one consultation with a member, it could be worth asking whether he or she already owns an iPhone. If so, the iLog1 could be a valid solution to helping the client manage and track his or her fitness goals. In the corporate world, I believe employees value the convenience of needing only one hand-held device to quickly enter their health stats throughout the day. One quick glance at the iLog1 could tell the user how many calories are left in the day’s budget before going out for a lunch meeting. As busy employees are checking e-mail on the iPhone or iPad, they could also check their iLog1 and be reminded to fit in those 30 minutes of cardio before they go home. Survival and success of corporate fitness programming depends on offering impactful information and guidance in a technologically savvy, gadget-loving world. Convenience sells! With all of our corporate fitness centers’ strides toward healthy eating, maintaining an ideal weight, and preventing metabolic diseases such as type II diabetes, it’s no wonder that artificial sweeteners like sucralose (Splenda), aspartame (Equal or NutraSweet), and saccharin (found in some diet sodas and chewing gum) became an overnight success. With claims like “as sweet as sugar, with no calories or insulin surge,” they sound like a great solution to staying within a low-calorie or low-sugar diet while still feeding that sweet tooth. Does Splenda Have Adverse Side Effects? Let’s take a look at the most popular of these, Splenda, to examine any possible health risks. 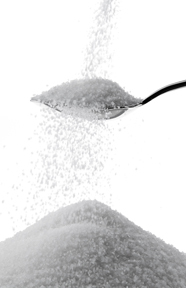 Sucralose is 600 times sweeter than table sugar and is not broken down by the human body. So most of the molecules are not even absorbed by the gastrointestinal tract, but rather excreted. According to the Sucralose Toxicity Information Center, a wide range of adverse side effects have been reported by Splenda users; however, these symptoms mainly impacted those people who were found to have an allergy or sensitivity to the actual sucralose molecule. As for the rest of the population, studies have not indicated any risk with moderate use. Harmful side effects were seen in the thymus (an organ of the immune system) when sucralose intake amounted to 205 grams per day—that’s equivalent to nearly 17,200 Splenda packets! Furthermore, the amount needed to spark any immune response whatsoever was 51 grams of sucralose per day, or 4,300 Splenda packets (see here for relevant links). As with all foods (or food substitutes), moderation is key. The takeaway message for your corporate wellness clients is that artificial sweeteners do not present a real health threat for people using them for weight loss, provided they are using one to two packets at a time and limiting all processed foods. Lose weight and feel great in just eight easy hours of sleep! I know, it sounds like a cheesy infomercial; but it turns out to be true. Researchers have previously linked lack of sleep and weight gain, but new facts are emerging that identify an even stronger relationship. While you sleep, your body is working to restore itself and releases some pretty important hormones to regulate the body and your appetite: leptin (which sends a signal to the brain to identify when you’re full) and ghrelin (which stimulates appetite). According to research at the University of Chicago and Stanford University, when sleep is restricted, leptin levels decrease while ghrelin levels increase. Volunteers who logged less than eight hours of sleep a night had increased body fat and increased their cravings for carbohydrate- and calorie-dense foods by 45 percent. As if that weren’t enough to have you hitting the snooze on your alarm, growth hormone is also affected by sleep patterns. Growth hormone is released mostly at rest or while sleeping. It is responsible for regulating body fat and muscle proportion. Loss of sleep results in a decrease in growth hormone. Over time, this can slow your ability to burn fat and build muscle, hindering your weight-loss efforts. So what is the solution? Be sure you are getting enough quality rest. Try this experiment from nursetogether.com: Find four days in a row when you can sleep as much as you want. On the fourth day, you should wake naturally, feeling refreshed. The amount of sleep you received on the fourth night dictates approximately how much sleep your body needs to function at its best. Aim for getting that amount of restful sleep each night. A headline came into my inbox recently indicating that Americans accessed the healthcare system less in 2010. I was intrigued, so I opened the post and read on. The data looked at markers like visits to the doctor, lab tests, and hospital admissions—with all-system access being lower in the first three quarters of 2010 than it was for the same period in 2009. A Sign of Improved Employee Health? Although my gut told me the driver behind this trend was economic, a little piece of me was holding out hope that some portion of Americans used the healthcare system less because they took powerful and lasting steps toward improved personal health. health-promotion fairy out there waving her magic healthy wand to help people choose better health. But all hope is not lost—and employers, this is where you really need to listen up. A recent study from the University of Michigan showed that risk-specific messaging may help recipients change their health behavior. While your employees' use of the healthcare system is already down, consider this a prime time to deliver very targeted health-promotion messaging to your employees, and perhaps they will continue to tap into the health system less and less with better health. The result: decreased medical expenses for everyone! How are you targeting your messaging to your employees? Have you ever wondered how your health would benefit if your company had an onsite corporate fitness center? Well, luckily for a company in Roanoke, Virginia, they don’t have to wonder. Employees simply make their way to the top floor where the onsite fitness center is located and staffed by the National Institute for Fitness and Sport, a corporate fitness center management company based in Indianapolis, Indiana. A few employees made a promise to themselves and the Wellness Manager in January 2010 to lead a healthier lifestyle. The NIFS Wellness Manager made it her personal mission to help these employees reach their goals through personalized exercise plans, nutrition consultations, individual personal training sessions, weekly weigh-ins, educational handouts, and inspirational e-mails with information ranging from stress management to meat alternatives. 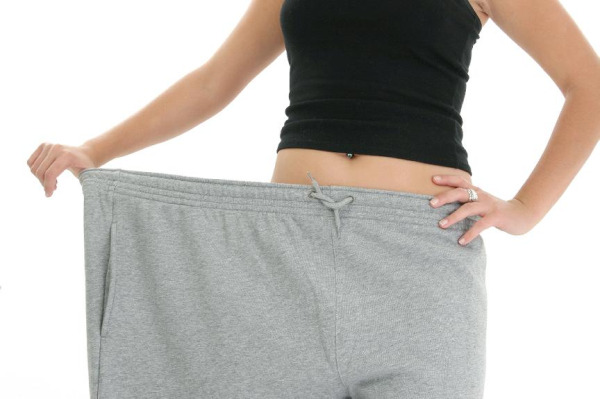 One employee lost 40 pounds over a nine-month period and is now maintaining her healthy weight. She additionally was able to come off of blood-pressure and cholesterol medications and is leading a life she only dreamed of. Another successful employee who worked with the NIFS staff was able to lose 42 pounds in a nine-month time frame and is also keeping his weight off. In addition to his great weight loss, he has decreased the pain in his knees and feet, has found a love for running, and has inspired his family to lead a more active lifestyle. With an astounding 67 pounds lost in nine months, another employee has also been able to keep her weight off with the help of NIFS. Furthermore, she was able to come off of her blood-pressure medication. And under her doctor’s watchful eye, she decreased and eventually relinquished her depression medication. These are only three examples of how an onsite corporate fitness center—staffed by a corporate fitness management company—and its caring, dedicated employees, can benefit any company workforce. What do you think you could gain (or lose, rather) with the help of an onsite corporate fitness center? As a Health Fitness Specialist working in the area of corporate fitness, I’ve seen firsthand how beneficial corporate fitness centers and company wellness programs can be. Today I’ll take a look at three of the top reasons why utilizing your company’s corporate fitness center is a no-brainer. Cost: Corporate fitness centers usually offer a significantly lower cost of membership than commercial gyms, if not offered to you for free altogether. Your typical gym membership will cost around $50 per month. If you choose your company's facility over the local gym, you will save $12,000 over a period of 20 years (if it’s offered to you for free)! Even if you had to pay half of the normal fee ($25), you would still save $6,000. Convenience: Whether your company is made up of one building or an entire campus, the fitness center is usually only a short drive or walk away. This sure beats fighting traffic before work, and especially after work when you’re tired and already don’t feel like going to the gym. Sometimes convenience is all someone needs to start and actually stick with an exercise routine. Environment: Most corporate fitness centers have significantly fewer members than your average gym, simply because only employees (and sometimes family) are allowed access. Don't underestimate the value of not having to fight the crowds to get in a good workout. And as much as we all love the children in our lives, not having to fight with them over workout machines (like you might have to with the local high school kids at a commercial gym) can be a real relief. 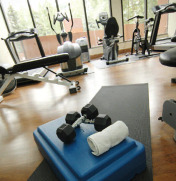 These are just three of the great benefits of corporate fitness centers. Next time I’ll take a look at a few more of the reasons why I feel passing on your company’s fitness center is a mistake you don’t want to make. Do you hate the flu as much as I do? The aching muscles, chills, throbbing head, sore throat—I wouldn’t wish it on my worst enemy. The CDC estimates that 5 to 20% of the U.S. population gets the flu each year, which also translates to nearly 75 million missed work days. 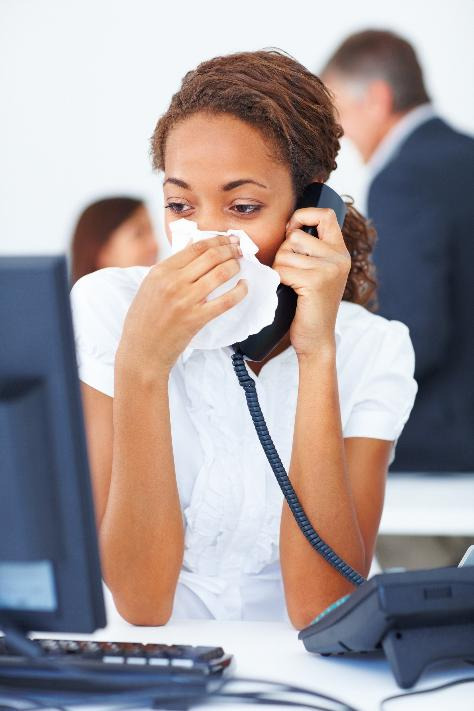 How can you minimize the spread of the flu virus at your office? The best preventative measure is probably offering a free flu vaccine clinic for your employees. However, there are other health behaviors you can introduce to your employees. Encouraging your employees to practice more frequent hand washing could be the ounce of prevention that they need. In fact, a German research team found that a group of frequent hand washers and users of hand disinfectant reported they felt better and more productive while at work than a control group that did not use the product. Encourage your employees to practice healthy behaviors during flu season and all year by keeping their work spaces clean, frequently washing their hands or using hand disinfectant, and maintaining a regular exercise routine to boost immunity. Need more ideas to help keep your employees healthy? Seek guidance from a corporate fitness management company and the professional staff who supervise their fitness centers.